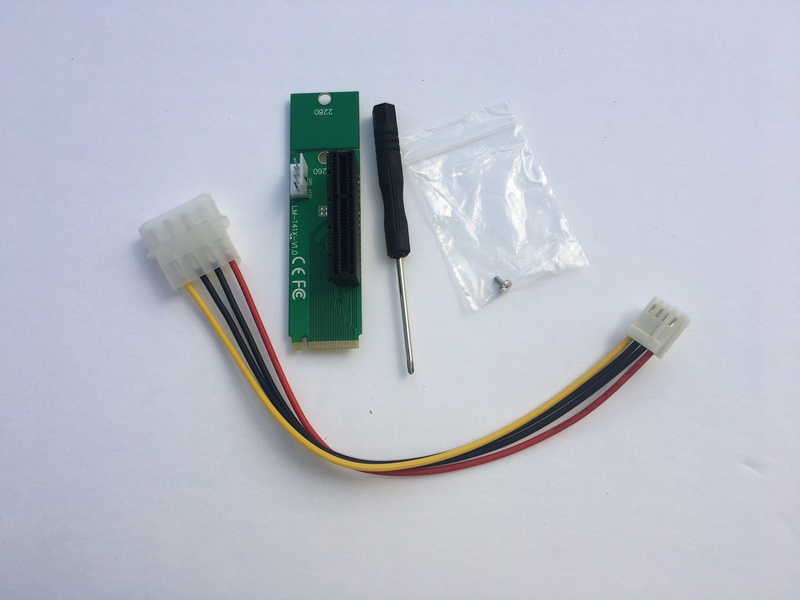 We now offer the PCIe to NGFF M.2 adapter. These adapter cards are used in some laptops and motherboards to add additional PCIe slots. You can use these with our USB powered risers for additional GPUs. Make sure that your laptop or motherboard meets the specifications above.